You’ve got to admit, the Disney strikers of ’41 knew how to design a flyer. 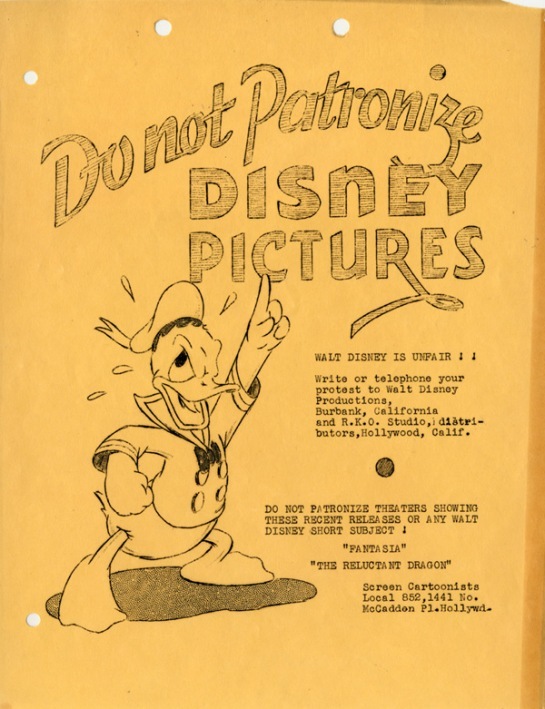 This entry was posted in 1941: The Disney Strike, Disney, Illustration, Labor and tagged Donald Duck. Bookmark the permalink.